Thank you to all our volunteers who were able to attend this year’s volunteer appreciation event! We have also posted these photos in our "Events" section (by clicking the Events tab itself). If you would like a high-resolution digital copy of your photo, please contact Kevin at yipk@carebc.ca. And thank you again to ALL our volunteers – we couldn’t operate our charitable programs without your help! ​All volunteers of the Health and Home Care Society of BC (Care BC) should be aware of policies and procedures created to ensure the volunteer experience is mutually beneficial to both Care BC and the people who devote their time to our cause. Please see below for our various volunteer policies. Feel free to e-mail or call 604-733-9177 ext.107 if you have any questions or concerns about these policies. Read the latest edition of the Volunteer Newsletters below. To protect our vulnerable patients, residents and clients from influenza our volunteers will be required to either get the influenza vaccine or wear a mask by the first week of December. The Ministry of Health has created a Frequently Asked Questions (FAQ) document about the Influenza Control Program specifically for volunteers, which can be accessed here. If you have had the flu shot please advise via e-mail or call 604-733-9177 ext.107. 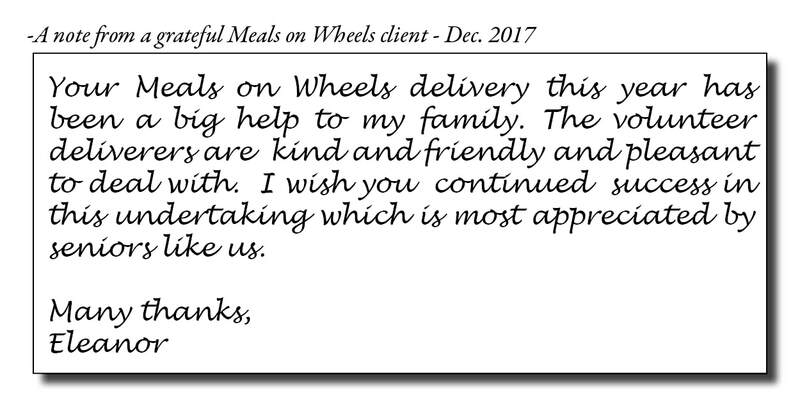 ​From time to time we receive notes from our grateful clients. Please see below for some of their thoughtful messages. And remember that Care BC thanks you too for all you do! 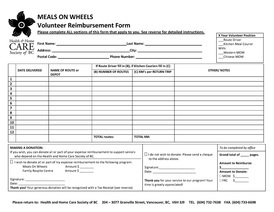 We had the opportunity to discuss the Meals on Wheels service in the Vancouver Sun, detailing the quality of the meals provided, the volunteer support for the program, and input from a Meals on Wheels client. Special thanks to the volunteers at the kitchen when we arrived to take photos!